Because 25 Perfect Days wasn’t enough, here comes 5 More. 5 More Perfect Days is the companion to 25 Perfect Days, which was named one of IndieReader's Best Indie Books for 2013 "”perfectly disturbing, a walk through a possible future as bleak as George Orwell's 1984. Scary, realistic, and satisfying" IndieReader review of 25 Perfect Days. 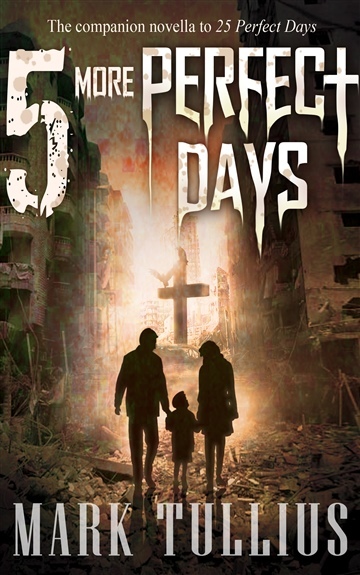 Five interlinked stories, each written from a different character’s point of view, 5 More Perfect Days continues the dystopian nightmare of 25 Perfect Days, with more tales of the sacrifice, courage, and love needed to survive and overcome this nightmare. A TOTALITARIAN STATE DOESN’T JUST HAPPEN OVERNIGHT. IT’S A SLOW, DANGEROUS SLIDE. Mark Tullius is the author of 25 Perfect Days, which was named one of IndieReader's Best Indie Books for 2013. An Ivy League graduate, Mark lists Chuck Palahniuk and Stephen King as the authors who most influence his own writing. He attests that attending Tom Spanbauer's Dangerous Writing workshop marked the turning point in his career. In addition to 25 Perfect Days, Mark is the published author of five books and over two dozen short stories. His blog addresses a wide range of topics including mental health, fitness, parenting, and social issues; one of his blogs was featured by the NoH8 Campaign.Mark's passion for martial arts once had him competing in Mixed Martial Arts (MMA). 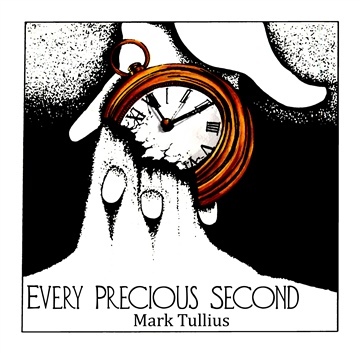 When head injuries sidelined his training, Mark launched a project called Unlocking the Cage that merges his love of the martial arts, his talent for writing, and his sociology degree from Brown University. In October 2014, Mark was invited to guest lecture on the Sociology of Martial Arts at his alma mater.Unlocking the Cage is a sociological study of why fighters are drawn to the sport of MMA, and why, despite actual and potential injuries, they continue to climb into the cage. Mark has traveled to 23 states, visited over 100 gyms, and interviewed close to 400 fighters from very diverse backgrounds. UTC is due to be released in November 2015. 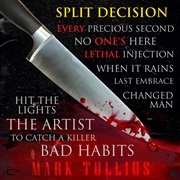 Interviews from Mark's travels can be found on his YouTube channel: https://www.youtube.com/user/MarkTullius.Mark resides in Southern California with his wife and two children.For more information about Mark's work, he invites you to connect with him on Facebook (www.facebook.com/AuthorMarkTullius), Twitter (@MarkTullius1), and Instagram (mark_tullius). You can follow his blog at www.MarkTullius.com.